Styled with mavis t-shirt and ashika pant . 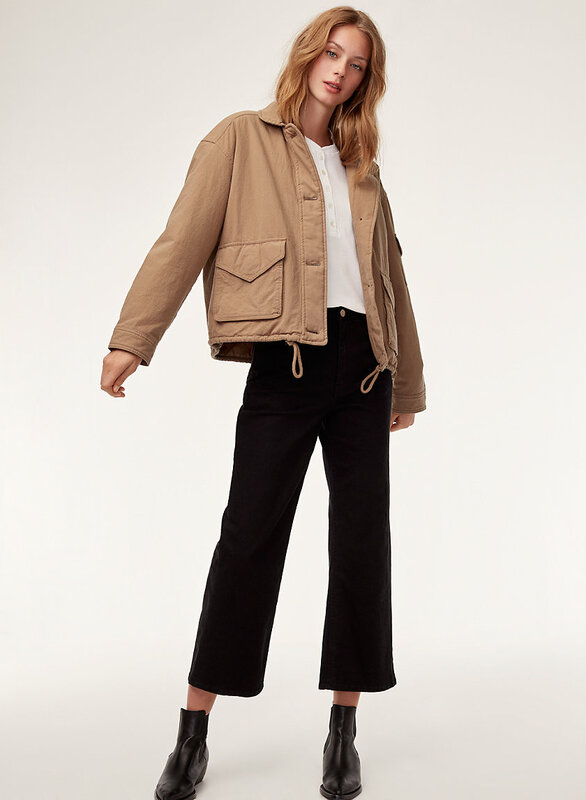 Made from pure cotton with a vintage-inspired finish, this jacket is lightly filled for soft structure and designed with classic utilitarian detailing. An adjustable drawcord at the hem lets you play with the fit. I debated on getting this for awhile. Im so glad I did! It literally goes with anything. 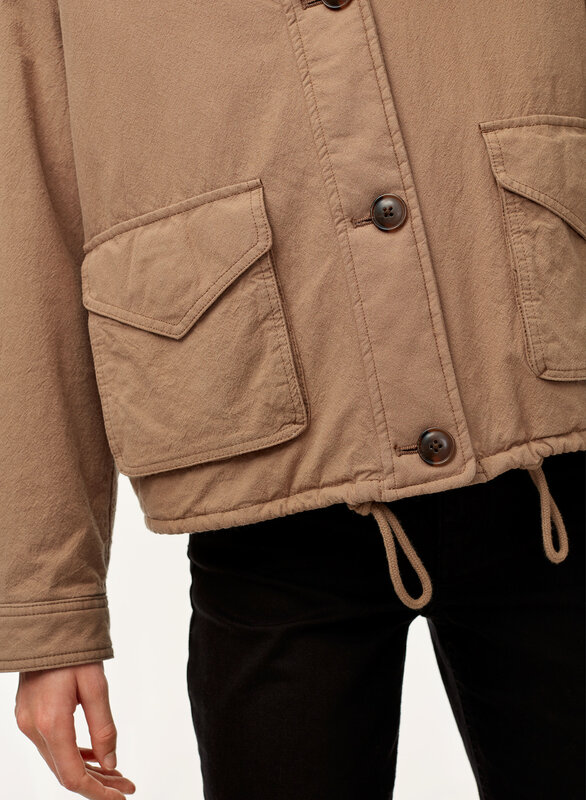 Layer it, don't layer it whatever you want and the material is top quality. Very different in a subtle way that makes it stand out. I'm 5'4 128lbs and the small fits perfect. 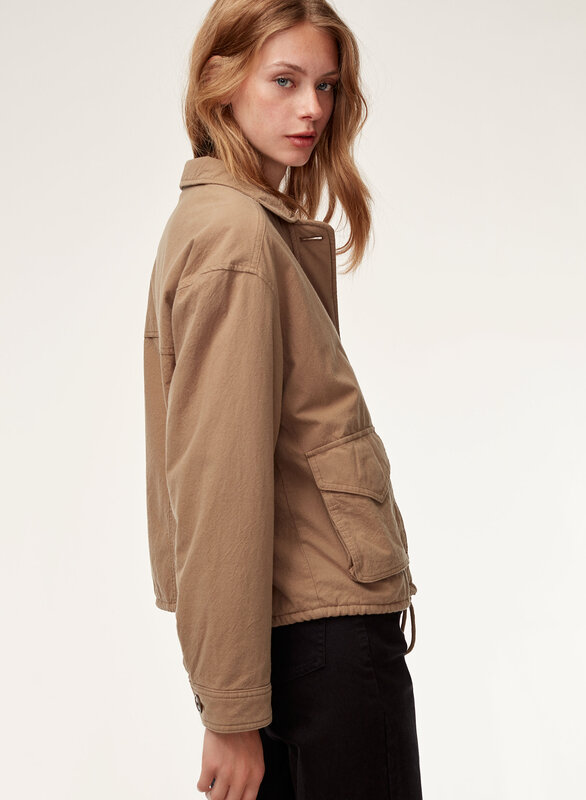 I’ve been eyeing this jacket for some time now but I couldn’t get myself to buy it especially with that price tag. But I ended up deciding on just splurging and getting it and honestly I don’t regret my decision. 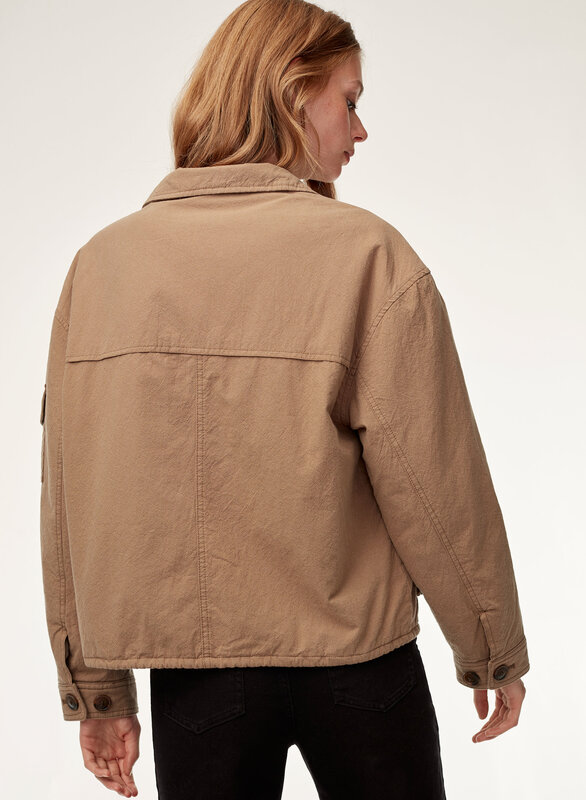 It’s a great jacket! It’s fully lined and it’s so soft! I could’ve gotten a Medium but I got the Large instead since I was going to use it to layer for an upcoming trip. I do wish that the jacket had a zipper so you can easily zip it up when you’re cold, but the buttons are fine. I love how roomy it is too, I can layer and not feel too bulky. Overall, it’s a great addition to my wardrobe. 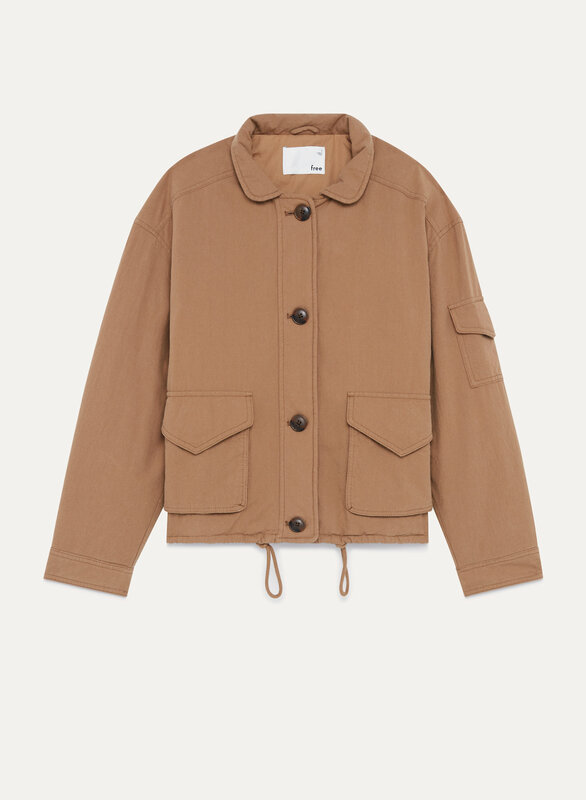 If you do buy it, it’s definitely worth the investment cause I can see myself wearing this jacket every fall/winter season. It's my favourite jacket. 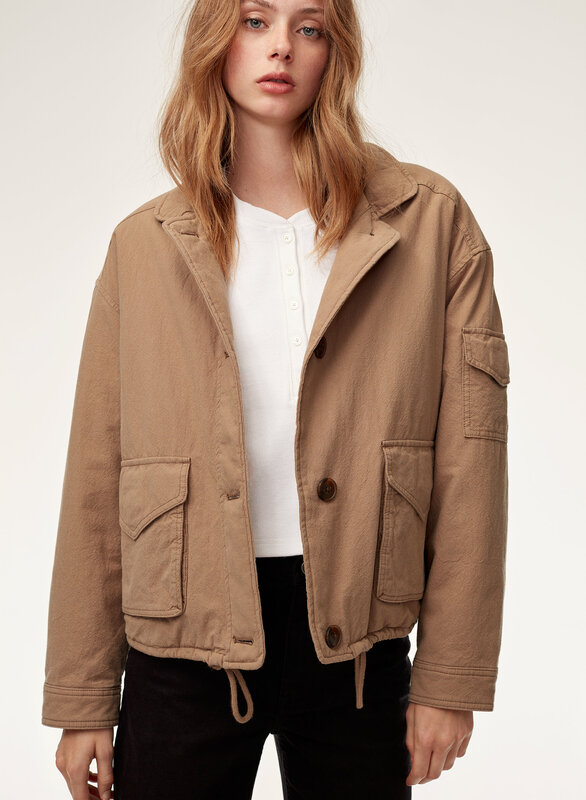 I do not like typical structured office jackets and I like this one for its slightly relaxed fit. I feel comfortable in it! I wear it with a more formal pants or skirts and boots.